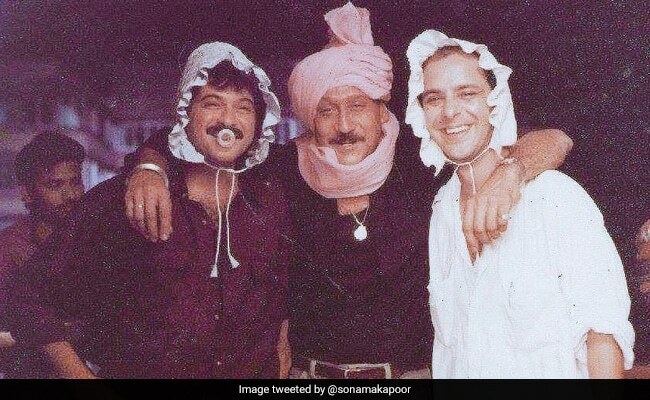 Sonam Kapoor celebrated Throwback Thursday with a major blast from the past featuring father Anil Kapoor, Jackie Shroff and filmmaker Vidhu Vinod Chopra. "Such a light-hearted and lovely memory!" Sonam captioned the photo, which appears to be from the sets of 1989 film Parinda. Written, directed and produced by Vidhu Vinod Chopra, Parinda remains one of Bollywood's most critically acclaimed films. Jackie Shroff and Anil Kapoor were cast as orphan brothers in the film, whose conflicting ideals formed the epicentre for all the action in the movie, which also explored Mumbai's dark underbelly. Anil Kapoor and Jackie Shroff co-starred with Madhuri Dixit and Nana Patekar in the movie, which went on to win two National Film Awards. Last month, Sonam delighted her followers with yet another throwback photo of Anil Kapoor, Madhuri Dixit and Anupam Kher from the sets of 1992 film Khel: "Dad, look what I found! Do you guys remember this?" 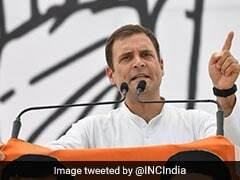 she had tweeted, to which, the 61-year-old actor replied: "I don't remember exactly what we were discussing probably making post pack up plans? But this was while we were shooting in Nairobi, Kenya for Khel! Thank you for sharing this Sonam!" On Father's Day, Sonam had dug out a priceless piece of throwback memory from when she was a baby to wish her father with this beautiful message: "Happy Father's Day to my main man! To have you as a role model has been my greatest gift and I wish I had words to tell you how much I love you daddy." Anil Kapoor and Sonam Kapoor will co-star in Ek Ladki Ko Dekha Toh Aisa Laga, which releases on February next year. Sonam will share screen space with her father for the first time and the duo will translate their real life relation onscreen. While Sonam also has The Zoya Factor in the pipeline, Anil Kapoor will also be seen in the Abhinav Bindra biopic with Harshvardhan Kapoor.